Located in Tavel, near Avignon, Domaine de la Mordorée was established in 1986 by Francis Delorme and his son, joined by his brother in 1999. 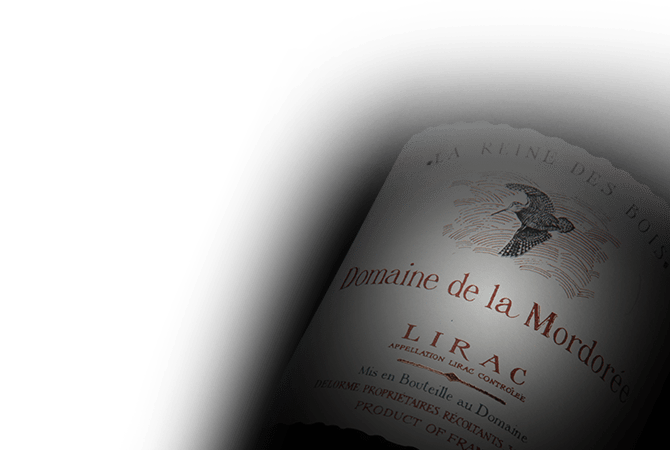 Renowned for its Chateauneuf-du-Pape and its poetic synonym Bécasse, la Mordorée evokes Francis Delorme's passion for hunting. The wines "Reine des Bois " and "La Dame Rousse" also pay tribute to the game. The vineyard consists of 60 hectares spread over 38 different plots, offering a variety of micro-climates for each AOC Tavel, Lirac Chêateuneuf-du-Pape and Cotes du Rhone Condrieu.